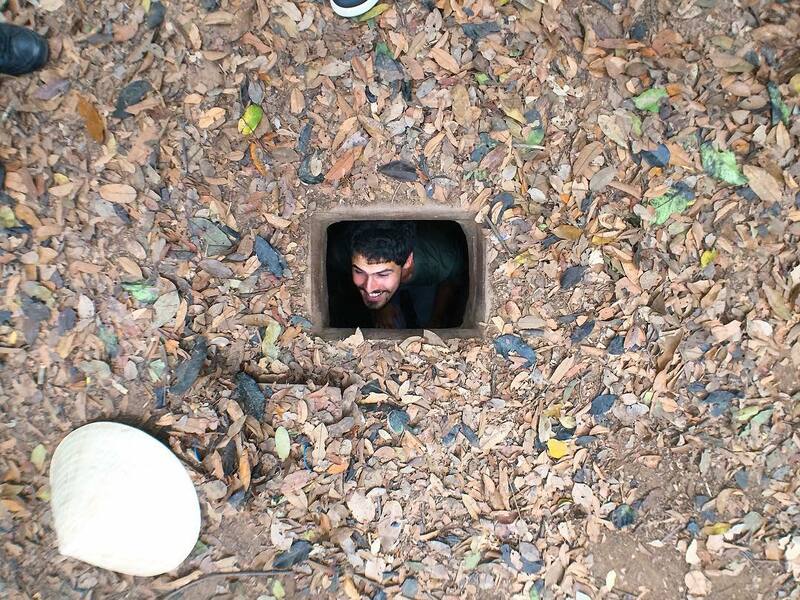 Cu Chi Tunnels are among the top 7 most exotic destinations in Southeast Asia and are listed as one of the world’s coolest places by The New York Time. Cu Chi is located on the outskirts of Ho Chi Minh City, about 70km from the city. This tunnel is about 200 km long, built for use during periods of war. Currently, Cu Chi Tunnels is used as a war remnants museum. 12. 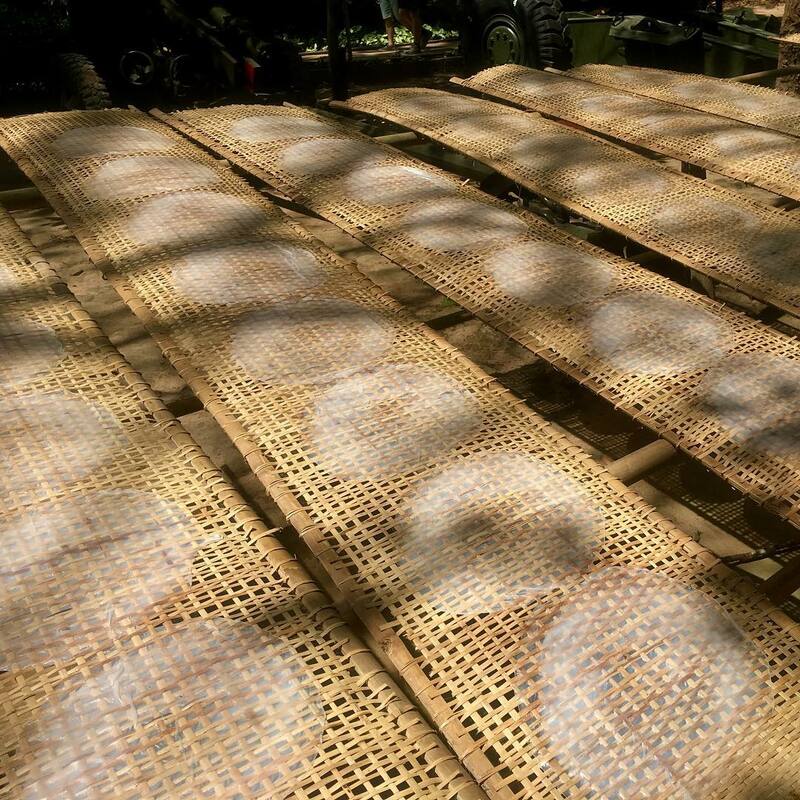 What to buy as a gift when going to Cu Chi? 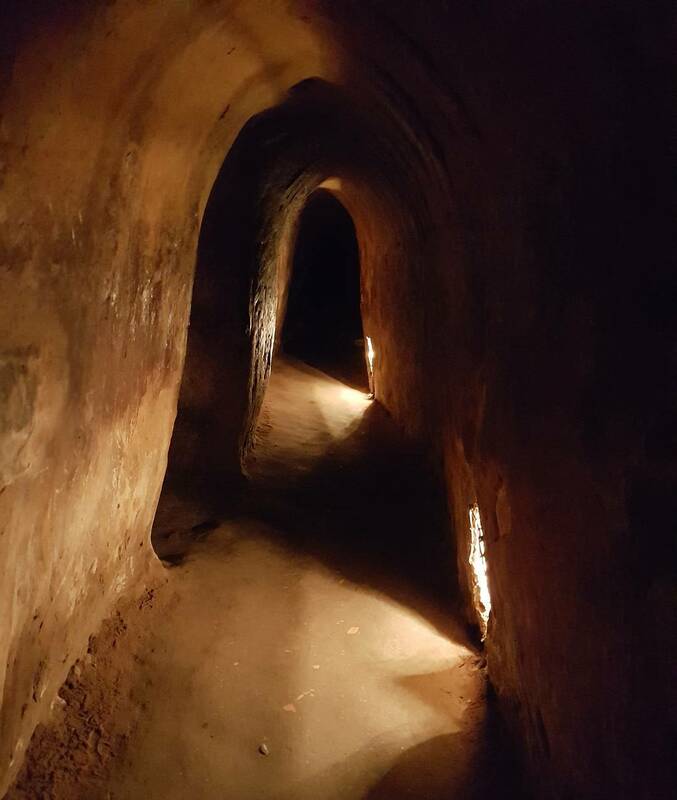 Originally built during the war against the French colonialists (1945-1954), Vietnam revolutionary soldiers hid under the secret tunnels in the enemy’s rear, protected by the people. Those secret tunnels were constructed in many ways, but mostly under the ground, each of which had only one small lid for one person to move. When closing the lid of the cover, the enemies above ground had a difficult time detecting the tunnel entrances. However, the downside of this secret tunnel is that Vietnamese soldiers were easily captured by the enemy or destroyed when detected. From there, it was thought that they should be extended into long tunnels with many ways out on the ground to shelter and fight the enemy, while providing an escape from danger if need be. In Cu Chi, the first tunnels in 1948 were split in two communes: Tan Phu Trung and Phuoc Vinh An. At first, there were only short sections of simple structure used to hide documents, weapons, shelter staff operating in enemy territory. From 1961 to 1965, the guerrilla warfare of the people in Cu Chi caused great losses to the enemy, helping to defeat the “special war” strategy of the United States by “using Vietnamese to fight against Vietnamese”. Then, six communes in northern Cu Chi District completed the “backbone” tunnel to create a continuous system. In the period of anti-imperialist invasion of Vietnam, the Cu Chi Tunnels were most active in early 1966. By 1967, at the time of the American invasion of Cedar Falls, it had reached a total length of about 250 km. In the present, the complex multi-layered tunnels still remain the same as during the war with hidden hatches and tunnels, connecting underground passages between basements. In the tunnel system, each of the different locations has specially closed gates used to stop the enemy or toxic gas. 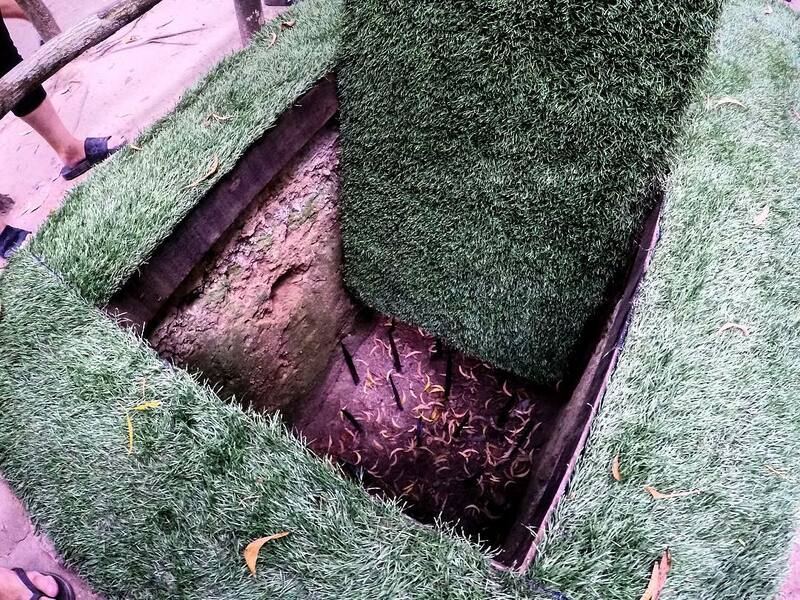 All tunnels have secret vents to the ground and are very discreetly camouflaged. The anti-infantry system was densely interwoven at the entrances to ensure safety. During the war, it could contain an army or be full of the village’s residents, which helped the Vietnamese protect many lives. Cu Chi Tunnels were not only used for combat and conflict, they also housed the factory workers who provided weapons and war equipment. It had stockpiles of firearms, ammunition and explosives of all kinds, food and materials, battlefield facilities, smoke free kitchens (Hoang Cam kitchen), hospitals for the wounded, and bedrooms and shelters for women, children and the elderly. It is not just a village but an entire city under the ground. 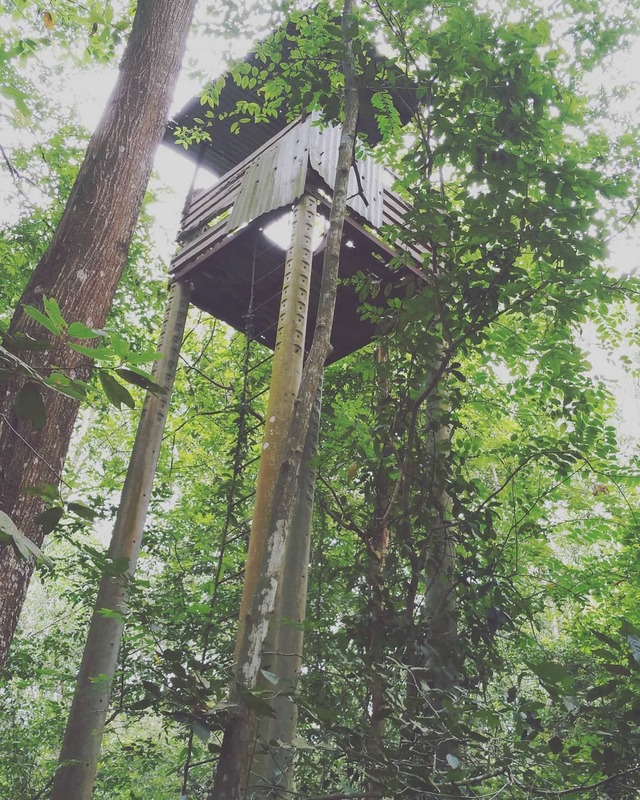 The Wildlife rescue station is located between Ben Duoc and Ben Dinh, about 1km from the Cu Chi. Founded in 2006, it is the largest wildlife clinic in the southern region, rescuing around 3,600 species of rare animals. This 4,000 sqm rescue station is designed as a small garden with lots of trees, divided into 8 zones with specialized functions. Currently, the station is feeding over 200 animals across more than 50 different species. 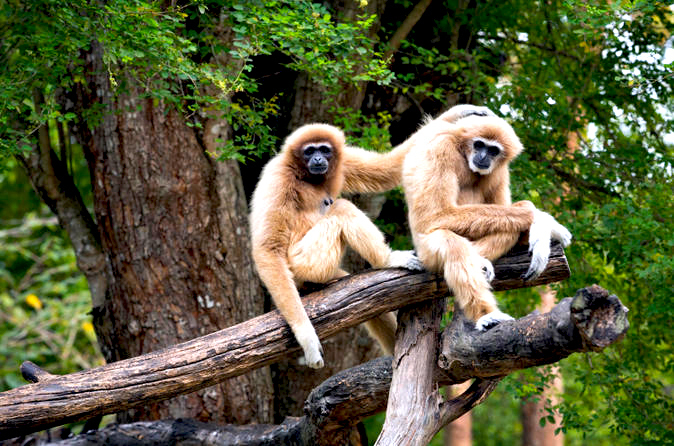 Here you can not only visit the rare wildlife but also hear the staff tell stories about them. This is definitely the main attraction in the itinerary. Experience life during the war discovering every corner of the tunnel system 120 meters in length with 2 floors and eat the food that local people ate while in the tunnels. 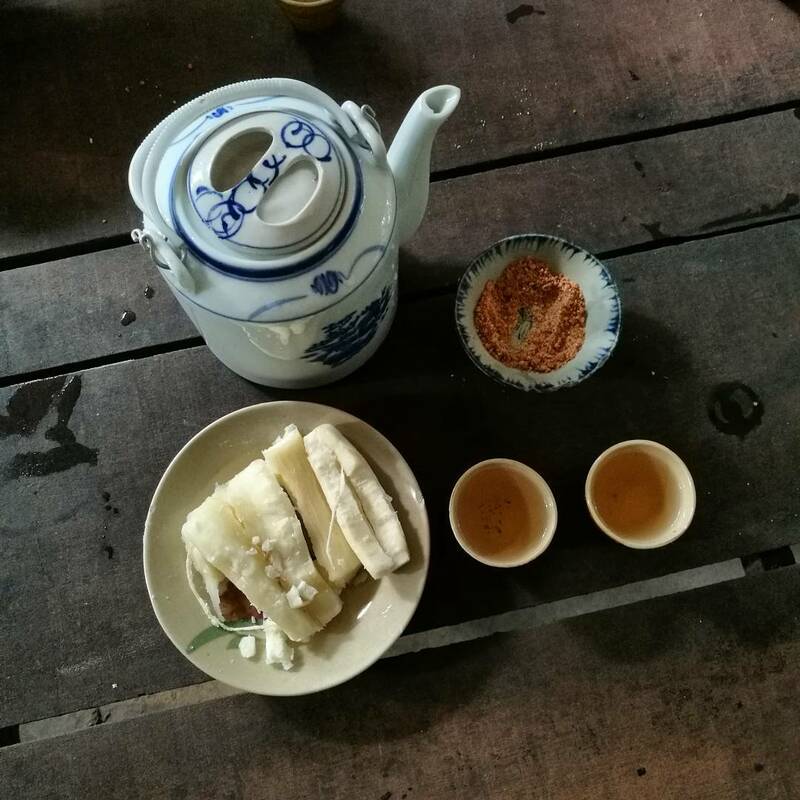 One of the most interesting experiences is trying first-hand the potato, cassava, and sesame salt dishes from the Hoang Cam kitchen. These were popular during war time, and really help the experience become fully-immersive! As the name suggests, this area is the place where visitors can watch slow-motion “footage” of the entire war in Cu Chi. Visitors will see pictures of strategic hamlets, US military posts, disputed areas between the two armies. 1960 – 1964: The image of the army and people of Cu Chi, 1964-1965: building trenches, deploying battles, transporting weapons. From 1966-1973 the landscape above ground was destroyed and ruined, causing people to move to live underground. In addition to the models and sound systems to illustrate the context of war, visitors can also talk with the people who lived and fought in Cu Chi during the war. In addition, there are many famous relics and scenic spots in Vietnam such as Nha Rong, Hoang Sa, Truong Sa, Long Bien Bridge, One Pillar Pagoda, Sai Gon Bridge. You will be instructed how to shoot the gun and try shooting it for themselves. Tickets are sold at 50,000 VND/person/60 minutes. After a while in the underground, it might be a good idea to immerse yourself in the cool water. Take a hard 15 minute walk to reach the pool area that resembles the East Sea. Ticket prices are about 20,000 VND/person. South Vietnam is famous for its fruit orchards, of which you can find in the tunnel area. You will be led into the spacious garden and enjoy delicious tropical fruits like durian, rambutan, plum, and jackfruit. First of all, travel programs will often take visitors around before opening up the entertainment services, allowing visitors to familiarize themselves with the culture and history of the tunnels before indulging in more interactive experiences. 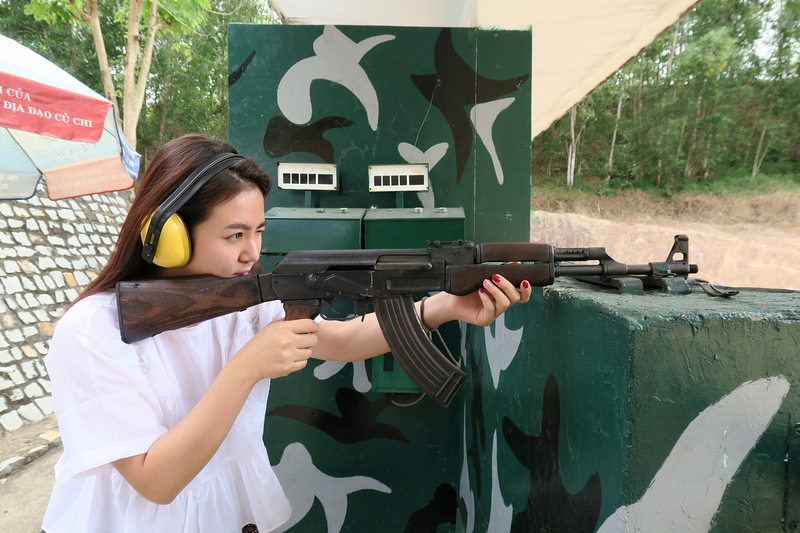 There are many other activities for you to enjoy around the Cu Chi tunnels. There’s pools to swim in, bicycle rentals available, hiking and camping opportunities, canoeing, and food for you to try; available for an extra fee.In particular, travelers should experience the cool air of the Saigon River by taking a boat. Besides the games, you can camp or picnic right on the banks of the Saigon River. Tourists can participate in a fake gun fight with spray guns, try gun disassembly, or shoot sport. The atmosphere of the past war will make your fun more immersive. Suitable for a group of friends or family. Be aware that you’ll need to prepare camping materials beforehand. The tickets are only 20,000 VND/person. If you visit the Resurrection Area, the total price is 40,000 VND. Through each hall and tunnel, there will be a guide. Male staff wear Vietnamese soldiers’ uniforms and female staff wear southern Vietnamese garments with a checkered black and white shawl. – Ben Dinh Tunnels (The based of Cu Chi District Party Committee) at Ben Dinh Village, Nhuan Duc Commune, Cu Chi District, Ho Chi Minh City. While the tunnels are open year round, it does get crowded on the weekends. In addition, visiting Cu Chi during national holidays like Vietnamese National Day (September 2nd ) or Communist Party of Viet Nam Foundation Anniversary (February 3rd), will incur an additional fee on tickets, but you may find the opportunity to experience the tunnels on days of national significance worth the fee.have the opportunity to offer more incentives. Other holidays such as November 23 (Cochinchina Uprising), April 26 (Liberation of Cu Chi), July 27 and August 19, usually also have small promotions. Buses are a popular choice for travelers from the center of Saigon going to Cu Chi Tunnels. You can hop on the bus at the Ben Thanh bus station, but remember that Saigon buses only stop when you wave your hands to them. Take the bus Number 13 (Ben Thanh – Cu Chi) or 94 (Cho Lon – Cu Chi) to get to Cu Chi bus station, then take the bus Number 79 (Cu Chi – Dau Tieng ) to Ben Duoc. Take the bus Number 13 (Ben Thanh – Cu Chi) or 94 (Cho Lon – Cu Chi) to An Suong bus station, then take the bus Number 122 to Tan Quy bus station. From here, take the bus Number 70 to Ben Dinh. However, you will miss the wildlife rescue station and beautiful scenery along the way if traveling by bus. Drive toward the An Suong – Highway 22, but be aware that it is quite far. 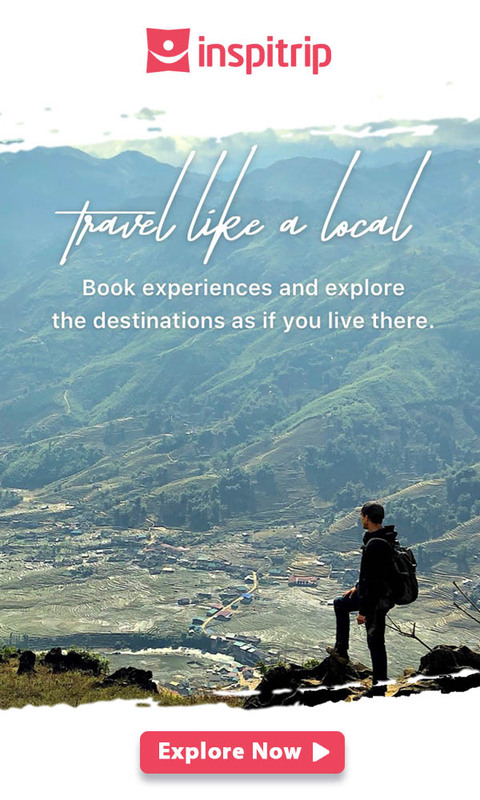 Without a native guide, visitors should not choose this option. Visitors tend to explore the Cu Chi tunnels on a daytrip, but if you want to stay overnight, there are still guest houses. Room rates are about 150,000 – 300,000 VND/room/night with modern amenities. On the way to the Cu Chi Tunnels, there are many good restaurants, but if you go by bus you will unfortunately be missing out on these great eats. This is one of the specialties of Saigon. Cu Chi veal can be cooked into more than 300 kinds of dishes from frying, steaming or boiling all creating very unique dishes. Experienced eaters will be able to easily identify this fine beef. The soft veal is completely different from that of male bulls. Quan Xuan Dao, located a few hundred meters from the An Suong overpass, is a spacious restaurant. The soft beef was marinated carefully and baked on a charcoal stove, giving it a unique delicious taste. Minh Quy is a long-standing eatery in Saigon. You just go to An Suong overpass then drive ahead 7km and turn right. The restaurant only opens from 5 A.M to 9 A.M. So, if you want to enjoy this dish you have to come early. When going through the town of Hoc Mon, do not forget to visit Canh Dong Hoang to enjoy the specialty dish of this land. This special edition beverage is only available at Cau Garden Cafe, about 3km from An Suong overpass on the right side. Remember to order steamed cassava with Coconut. 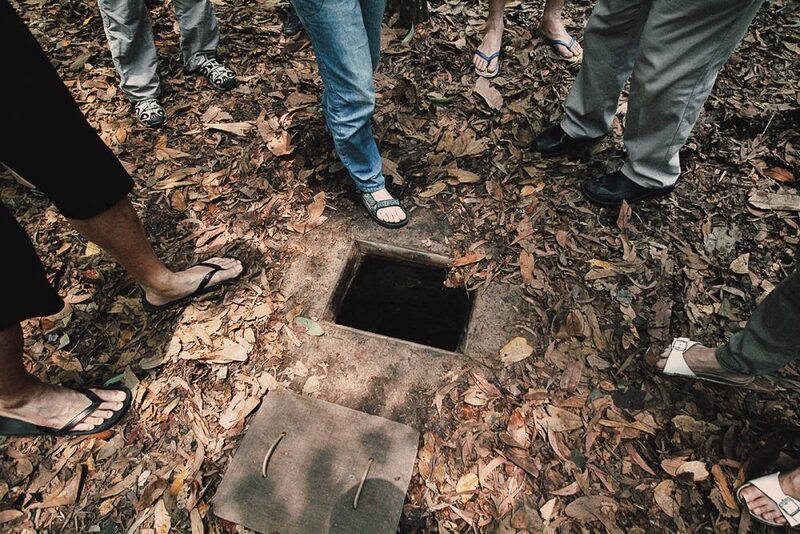 – The specialty of Cu Chi tunnels is steamed cassava, baked sweet potatoes and rice pancake. 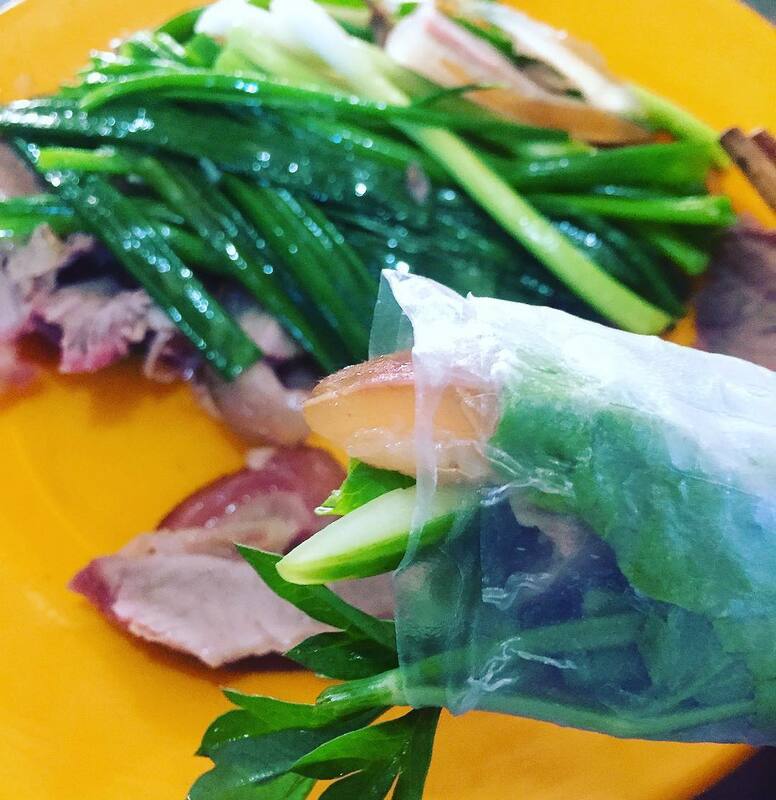 After exploring the tunnel, you can go to Hoang Cam kitchen and enjoy these hot dishes. 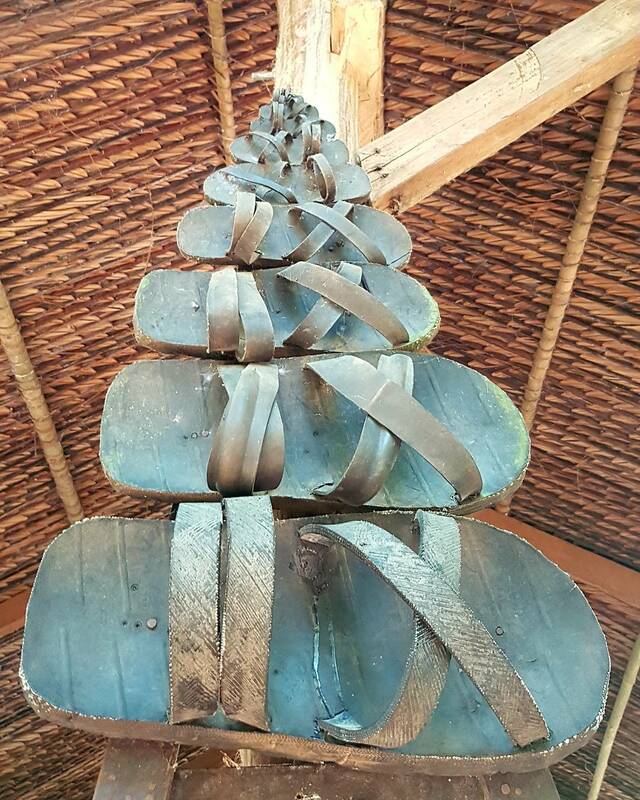 At the souvenir shop, you will find souvenirs made of bullet shells such as lighters, pens, lamps … or handmade products made of bamboo and rattan as gifts. Travelers should not bring many personal belongings to move easily. Moreover, it is very difficult to find the lost things in the narrow tunnels. You should prioritize the necessities such as a bottle of water and a hat rather than expensive items. 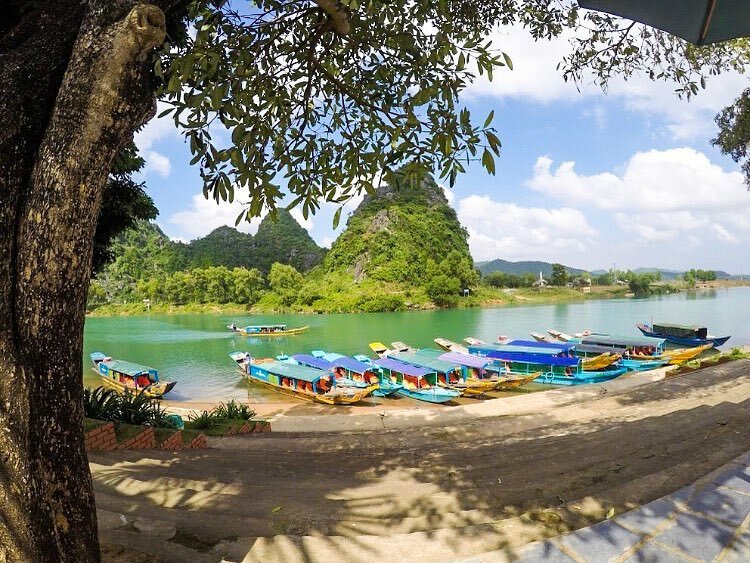 Although the resort operates all year round, visitors should avoid the rainy season in the South of Vietnam. 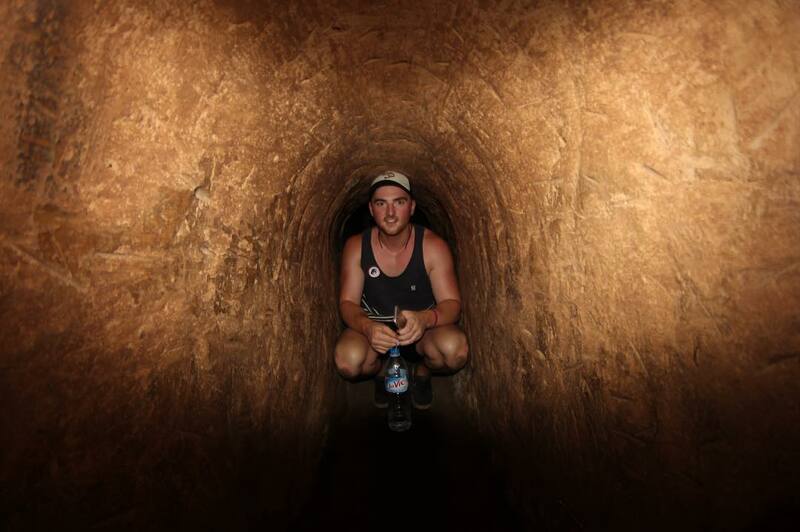 The tunnel tour can become damp and inconvenient, so choose to visit the Cu Chi Tunnels during the sunny season. With a total length of 200km, only a part of the tunnel has been maintained and controlled by the management so there are still many places out of the reach of the guides. Moreover, the tunnels lack light, oxygen, and cellular signal. It is also difficult to use map… You need to follow the guides to avoid getting lost. Please be careful that there are narrow tunnel passages only for one person to move. For complex sightseeing areas like Cu Chi, Inspitrip suggest visitors to prioritize having a local companion to ensure their safety and convenience.